As developing countries rush to sell citizenships to fuel disaster recovery or development, there are more opportunities than ever before to buy property that delivers a passport as well as a set of keys. With so many developers scrambling to profit from the global demand for citizenship by investment (CBI), buyers who don’t do their homework are at risk of saddling themselves with overpriced real estate and passports that don’t deliver the benefits they need. According to Robin Chapman of London-based Passports Global Ltd, seeking advice from an expert and legally qualified CBI consultant is essential to understanding the small print and selecting the best citizenship scheme for you and your family. Demand for second or alternative citizenships among high net worth individuals is at an all time high and the industry is coming of age. Passports are fast becoming much more than status symbols for the super rich: they are increasingly perceived as an integral aspect of sound financial planning. The growing need for visa free access to the US, Canada, Europe and beyond among wealthy citizens of politically or economically unstable countries, together with the threat posed by the ever-expanding global tax net, is pushing citizenship to the very heart of the financial services sector. Simply put, financial advisers and their clients can no longer afford to ignore the benefits of alternative citizenship. What is also apparent is that not everyone needing a second citizenship would benefit from investing in property or enterprise, which can be more expensive and riskier. All Caribbean CBI countries run alternative options known as government donation funds. These programmes enable individuals to acquire citizenships and passports possibly more cheaply and without the requirement to invest in property or otherwise. Caribbean CBI deals are popular because they cost less, take less time to process and in many cases, can be inherited by future generations. Citizenship of any of the Caribbean islands of St. Kitts, Antigua, St. Lucia, Dominica and Grenada allow visa-free access to the UK, the Schengen Area (comprising 26 European countries), and uniquely, for holder of a Grenadian passport, visa-free access to Russia and China. Grenadian citizenship also carries the potential for a United States E2 treaty trader visa. This allows you to live and run a business in the United States, once your business plan has successfully undergone rigorous vetting by the US authorities. The E2 is arguably a better prospect for many families than a US Green Card. While you can’t argue with the benefits of these Caribbean citizenship programmes, selecting the right one requires some homework. In the Caribbean, like elsewhere, citizenship schemes vary enormously between and within countries, with huge differences in costs, tax implications, application processing times and residency requirements. Some programmes involve investment in property or business while others simply require donations. As well as hosting some of the most competitively priced and appealing citizenship schemes on the market, however, thanks to the recent hurricanes, the Caribbean CBI countries, in a bid to fund recovery, are responsible for the proliferation of cut-price donation schemes in a race to the bottom and new and tempting but perhaps dubious property-based citizenship schemes. One of the challenges in choosing a property-based CBI is to find one that prices its real estate at market value. Of the many CBI schemes available in the Caribbean island of Grenada, the majority involve investment in residential property. 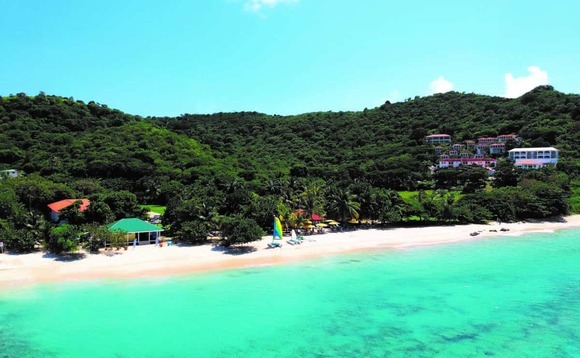 Of these, the resort at Mount Cinnamon (pictured) seems to be one of the more prudent options on the table. According to Robin Chapman, applicants to this scheme acquire a co-ownership interest in a number of villas and apartments within an established luxury beach resort. Unlike some other resorts that are included in CBI schemes, Mount Cinnamon has been around for ten years and is profitable. Applicants to this scheme will be greatly reassured its The Sunday Times rating. The paper listed it as one of the 100 best resorts in the world. What is also attractive about the scheme is that the developer provides two exit routes. With most CBI deals, participants who want out of the contract they signed up for are left entirely helpless.